Elana Dolvan lived through a treacherous childhood in Chicago and wants to be more than another "hood life" statistic, so she sets her sights on the top. She works her way up the steep ladder of white-collar success, achieving one of the most impressive careers in her family's history. She becomes a powerful attorney, but the lure of the streets is still strong. She is also known in the underworld as Dutchtress, one of the most ruthless female bosses in the US. Trapped between the two worlds, her double identity soon creates problems, and all hell breaks loose. Diamond, the sassy vixen that you love to hate, is back, and she has a few more tricks up her sleeve. After Kemp's death, she quickly moves on and shacks up with his best friend, Black. Unfortunately, things aren't running as smoothly as they expected. Diamond is quickly losing control of the situation - and her emotions - after multiple attempts on her life by one of the victims she believed she'd killed. To make matters worse, people from her past keep popping up and causing a ruckus, including the father that walked out on her 10 years earlier. When Noni married the love of her life, she finally thought she would get everything she deserved. Riches, success, status, influence - she had it all as the wife of Mr. Dominick Meyer. 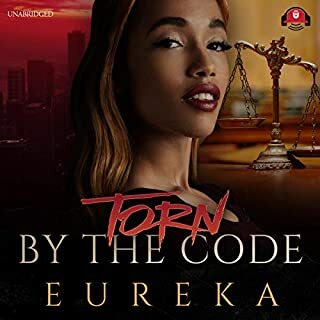 But there is more to her title than meets the eye.When she catches Dom cheating and discovers that he isn’t the businessman he portrayed himself to be, her life is changed forever. Finding out that their wealth was amassed from drug money and that Dom has never truly been faithful, she wants out. Cass is a known high roller in the city, and his reign in the heroin trade has lasted for years. 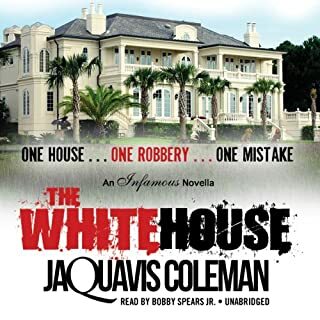 People on the street call his gorgeous estate the "White House" because of his political connections and power. His home is untouchable and off-limits to the local hoodlums. But all this changes the night he meets Draya, an opportunistic beauty queen. She meticulously orchestrates a robbery, which goes smoothly - until the tables turn. Five people walk into the house, but only one walks out. Love should burn slow, but with Ezra "Ethic" Okafor it is always fast and fleeting. After an accidental killing affects Alani, the woman he loves, she thinks he's a monster. Separated by tragedy, the pair endure a loss like nothing they have ever felt, and their connection is impossible to repair. Ethic is reduced to misery and raising his children alone once again. 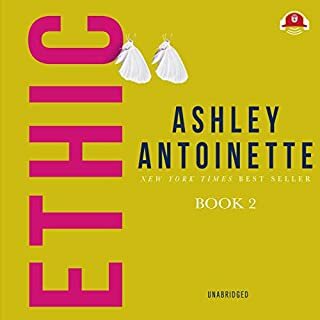 With Morgan in the throes of a passionate love affair and Bella in need of guidance that he can't provide, Ethic is in turmoil. He's failing as a man, and the fingerprint he is leaving on the world is a bloody one. Brenda and Brian Andrews seem to be on the road to happiness with their newfound relationships, but trouble has a way of finding these two sexually charged siblings no matter how hard they try to avoid it. With the introduction of their half-brother Julian in the mix, there's enough scandal and mayhem to spread around. Now, not only do their closest friends have front row seats to the chaos, but they're also entangled in it. The Red Bottom Bandits may be the world's most fashion-forward gang of masked outlaws. They're the talk of DC for their daring robberies and fly gear. 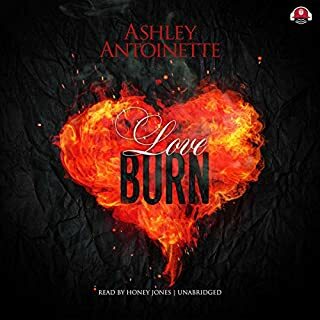 And their latest caper is penned by Ashley Antoinette (of Ashley & JaQuavis) at her sultry, streetwise best.